This campaign is about promoting minimalism. We created app, videos and posters by using the playful, colorful, and corky style to advertise and educate the younger audiences. Videos to promote the app using bright, playful metaphorical situations to represent some common habits that cause stress or unhappiness. Print advertisements using the brand's characters to promote using the app to avoid unwanted states of mind. 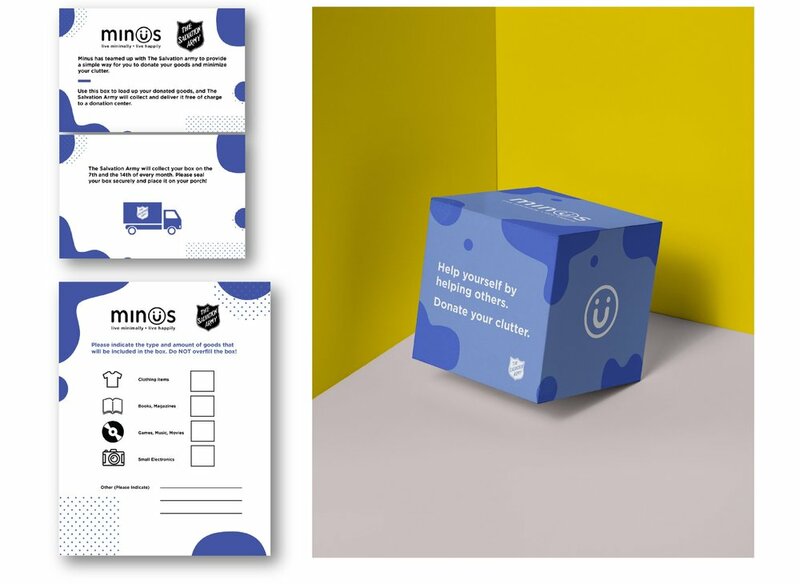 Minus App & Instagram account that will feature the campaign videos as well as quirky posts of the Minus characters with helpful tips and mindfulness advice. A collaboration with Salvation Army to encourage people to help themselves, by helping others less fortunate. 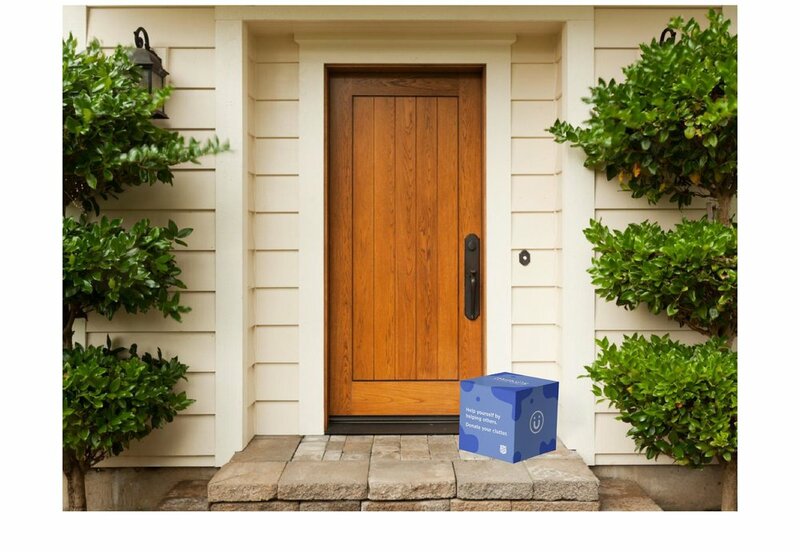 They can donate their excess items with a free pre-paid shipping box to mail to Salvation Army, free of hassle and excuses to purge their closet.